A new exhibition tackling the plight of migrants and asylum seekers will be shown at London College of Communication (LCC) from Monday 6 October. 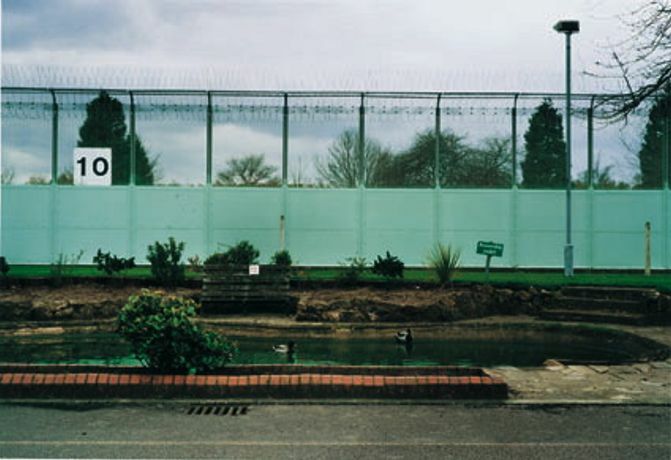 Called 'Border Country' by photojournalist Melanie Friend, the installation features medium-format photographs and voiced testimonies of asylum seekers and migrants in detention in the UK. Melanie began work on Border Country in 2003 and since then, more than 25,000 individuals per year have been held for some period in immigration detention in the UK. She has photographed the visits rooms in eight Immigration Removal Centres across the country including Campspield House near Oxford and Yarls Wood near Bedford. She also obtained permission to photograph some landscapes. As a visitor she met asylum seekers and migrants in several removal centres and was given special access to record interviews with male detainees in Dover, and female detainees in Yarl's Wood. The exhibition and publication include voice recordings that evoke complex identities and the physical and psychological experience of life in detention.